The kids are back at school, and you’re back at work. You’re prepared for the new year ahead – you have bought new stationery, books, clothes, and even lunchboxes. However, have you thought of updating your kid’s floor or desk lamp, or your own for that matter? 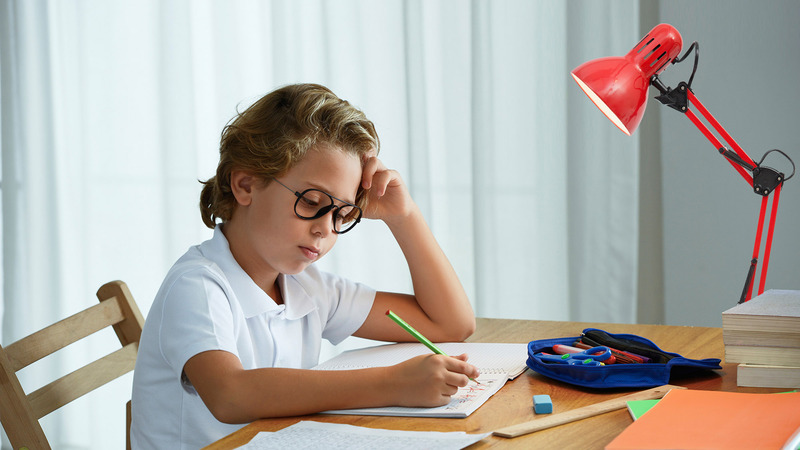 Good task lighting is a crucial part of studying and working – it can increase productivity, decrease eye-strain, and allow you to focus actively for longer periods of time. 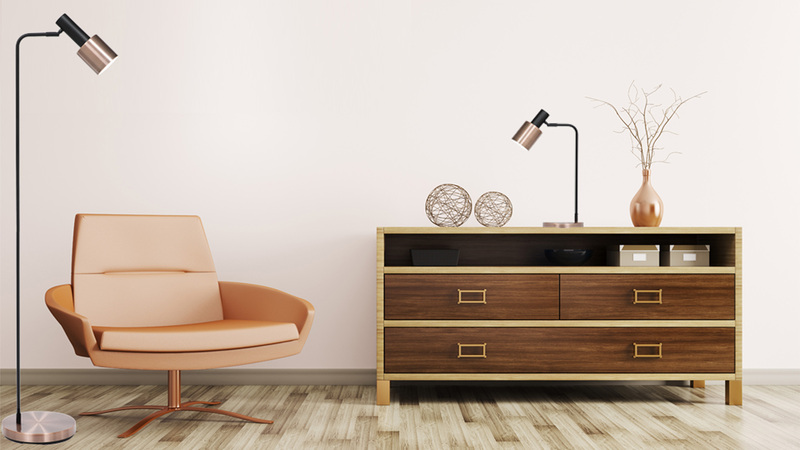 Below: Jazz up your workspace with a Luca desk light, which is available in a variety of different colours, including white, blue, red, purple, antique brass and gunmetal. 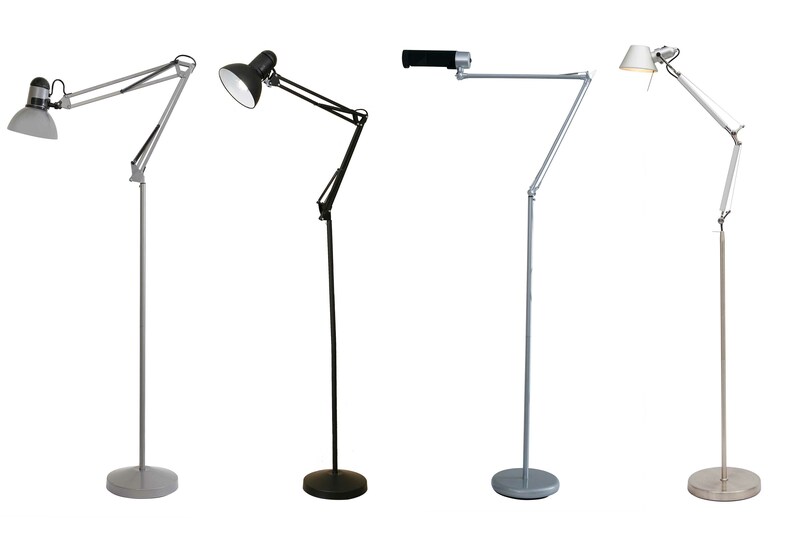 Caption above (from left to right): The Luca desk lamp is available in blue (code: 19662), red (code: 19662), purple (code: 19663), white (code: 19662), antique brass (code: 19668), and gunmetal (code: 19669). Below: For “the little scientist”, or those who enjoy detailed miniature crafts such as model-building or needlework for example – The Lighting Warehouse’s dual purpose Magnifier clamp light is a must. 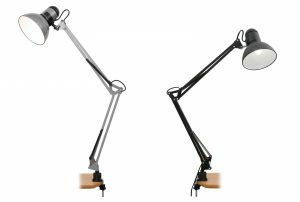 Below: For areas where space is at a premium, the grey or black Otis clamp desk lamp can be attached to a study desk, maximising space for projects. Below: For bunk bed or similar applications, and night-time reading – The Lighting Warehouse’s Luigi clip-on light offers a super practical solution. 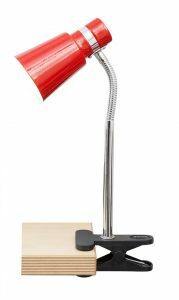 For reading in bed , one could also choose a Mikele or Marco LED flexi wall light which is task lamp incorporated into a wall light. The Mikele flexi wall light is available in 3 finishes – Antique Brass (code: 21236), White (code: 21237), and Chrome (code: 21239). It boasts integrated LED lights, which come in warm white. 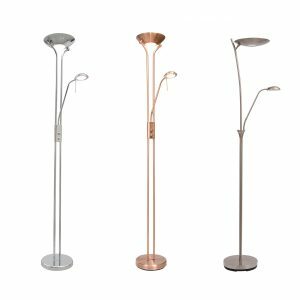 The Marco flexi wall light is also available in 3 finishes – Antique Brass (code: 21234), White (code: 21235), and Chrome (code: 21238). It boasts integrated LED lights, which come in warm white. Floorlamps are portable and are a great source of general illumination – they can really help light up dark corners and larger rooms. 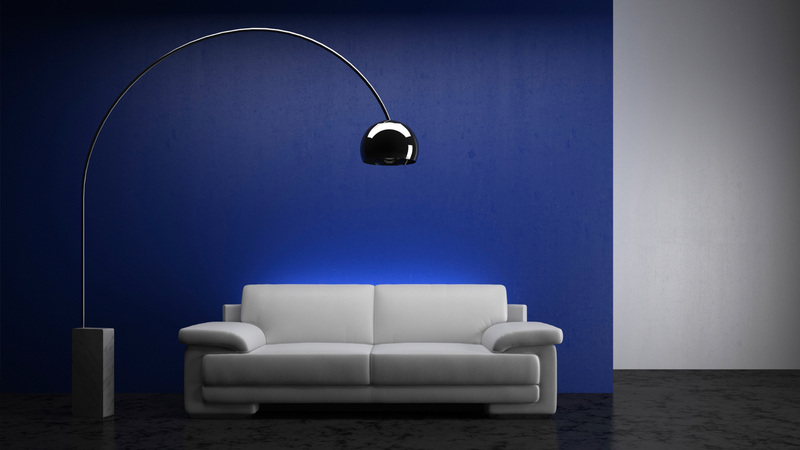 Floor lamps can also act as an under-layer of light, creating task lighting right where you need it. 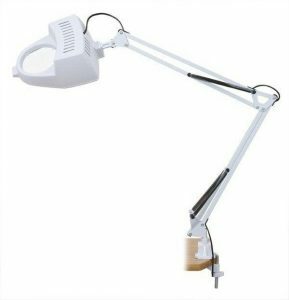 Examples of how this works would be floor lamps next to your favorite reading chair or a floor lamp casting light down onto your desk. 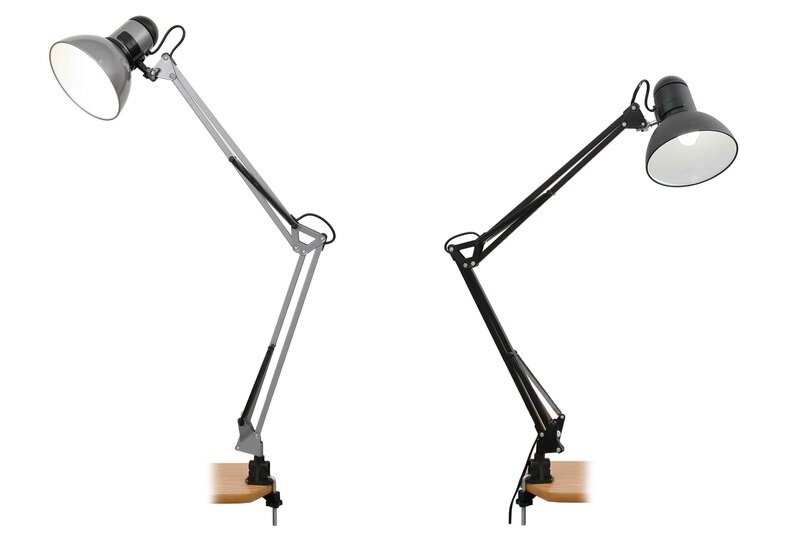 Below: The Mother and Child or the Dad n Lad floorlamps boast two lights on the same upright, giving them a dual purpose – the first purpose is to operate as an uplighter for ambient lighting, and the second light operates as a source of task light. Both lights are separately operable. 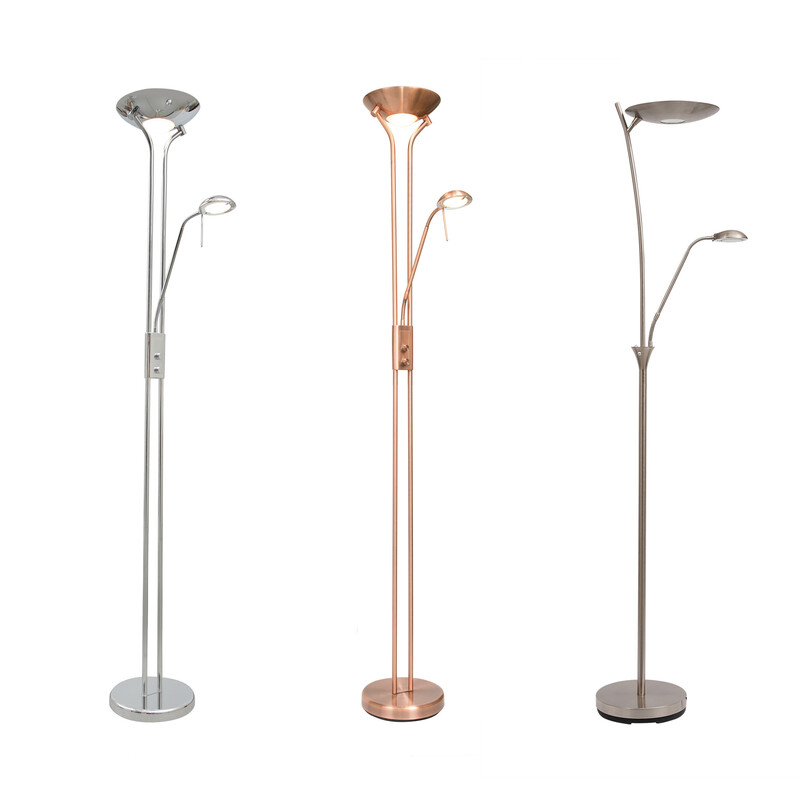 Caption above (from left to right): The Mother-and-child floorlamp is available in both chrome and antique copper (codes: 18731 and 21369). The Dad-and-Lad floorlamp is available in satin chrome (code: 19783). 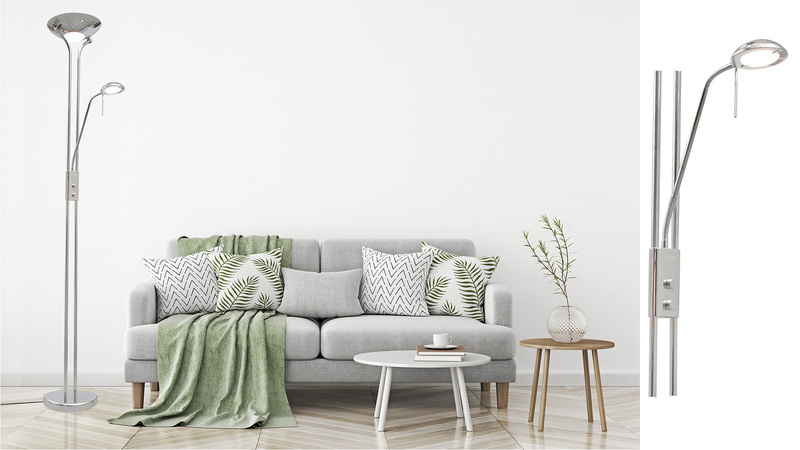 Below: Other floorlamps offered by The Lighting Warehouse include angelpoise styles such as the Otis (available in black and grey), as well as the Franklin and Galileo floorlamps, which are really helpful in terms of moving light to where you need it most. Also, if your desk is quite small, it is sometimes better to rather have a standing lamp on the floor located next to your desk instead. 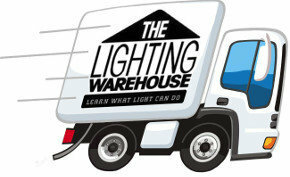 The Lighting Warehouse’s in-store sales consultants can advise on the best globe to use for a particular application. The Lighting Warehouse website (see more details below) also suggests globes for all desk and floor lamps featured on the website. There are different Kelvin colour white globes that give off either warm white or daylight white illumination. This choice is up to you. You can also choose globes with various wattages, depending on your required light output or preference – bright or not so bright. 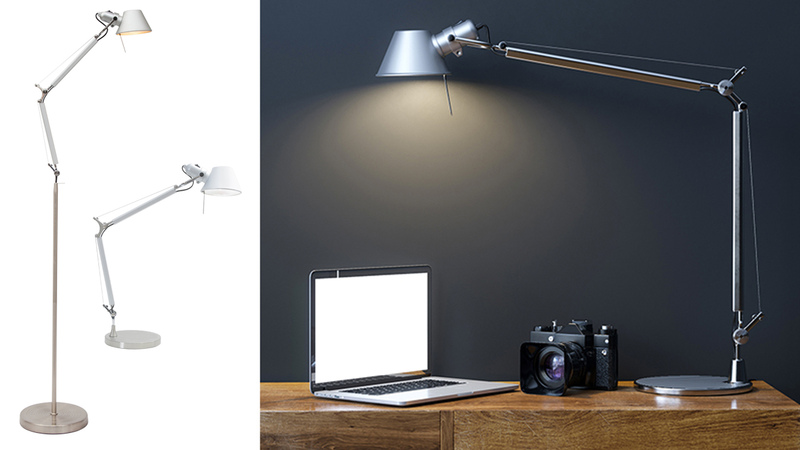 The Lighting Warehouse’s most popular globe for desk and floor lamps is the A60 shape 10w LED globe. The Lighting Warehouse otherwise has the latest LED globes available which all generally have at least an 80% energy saving.